Austin Skyline Glow – Austin skyline aerial as the sunset leaves this orange glow over Lady Bird Lake shoreline. The high rise buildings continue to grow along the town lake or Lady Bird Lake and on this aerial we can see we are almost done with building along the lake once the Independent or Jingle as some call it, is completed next year. Not really but just thought I would say it, but the truth is there are plans for two more 800 ft plus buildings in the same area over the next few year it seem they would be out of space to build in that area I guess not. In any case the downtown view along the lake has been changing almost yearly so we will see what come next. Austin skyline is a modern since most of the buildings have been built in the last ten years or so. Austin has many things to do in the city from the many parks, hike and bike trails, boating, barton springs, museums, along with live music events and UT sporting events to keep any one satisfied. Austin is situated in central texas at the beginning of the hill country where there are two lakes close by like Lake Austin, along with Lake Travis which are less than 30 minutes away for boating, swimming and other lake activities. Austin is a high tech town with lot of business related to that along with it is home to University of Texas and the State Capital. Austin Skyline Sunset Aerial – Austin Aerial skyline view at Twilight taken from a birds eye view. This is another aerial image of the Austin skyline twilight view looking down Lady Bird Lake with the city modern high rise buildings along the shoreline of the lake and looking north over IH35 where you can see the UT stadium and Erwin Center in the distant view. You can see Austin tallest building the Austonian which for a few months longer will hold that title till the Independent is completed sometime before the end of the year. It has been hard to capture images of Austin skyline from anywhere along the hike and bike trail because they are constantly adding new building along the shoreline. About the time you think they are done new cranes show up. Just recently found out that we will have two new buildings along the town lake shoreline once more and they will be taller than the Independent so its title will not last long. Just like all good things they don’t last long you can barely see the top of the Frost building, at one time it was the tallest building in the skyline. The cityscape has been constantly changing for years and I guess until all the land is gone it will continue. Actually from this spot in the 70’s you had a straight on view of the Texas Capital those days have been gone for many years now you may be able to see the top of the dome if you look hard enough in this view. 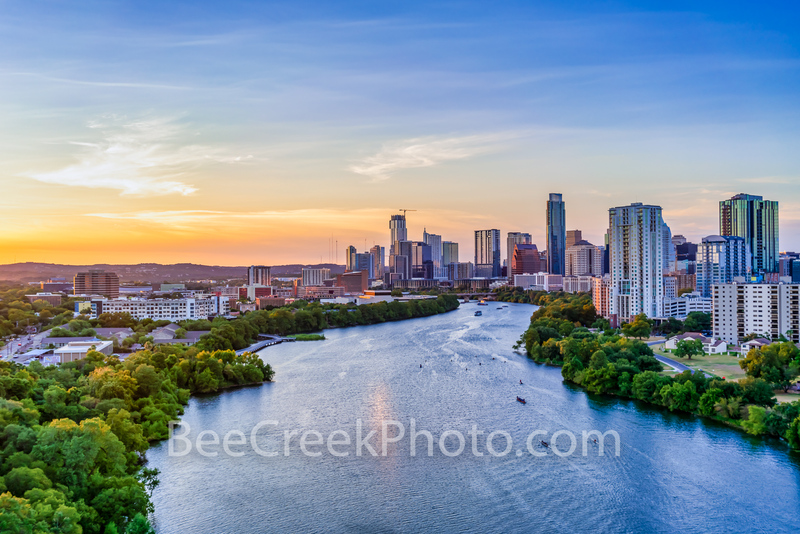 Posted in Photo of the Day and tagged aerial, Austin, Austin skyline, buildings, downtown, glow, high rise, Independent, Jingle, Lady Bird Lake, modern, orange, shoreline, skyline, State Capital, sunset, tech companies, town lake, University of Texas, UT on August 22, 2018 November 9, 2018 by Bee Creek Photo. Posted in Photo of the Day and tagged aerial, Austin skyline, austin stock, Austonian, banks, buildings, city, cityscape, clouds, colorful fall trees, downtown, fall, high rise, IH35, Lady Bird Lake, landscape, pano, panorama, population, Reflection, shoreline, State Capital, state capitol, town lake, urban, urban landscape, water on December 12, 2017 September 26, 2018 by Bee Creek Photo. Aerial Houston Skyline pano at night along IH45 in downtown area aand gives us a birdsey view using an aerial of the cityscape along the highway as you see when you come into downtown. This image show IH45 along with the Aquarium with its colorful ferris wheel plus the city hall with it rainbow of colors among the modern high rise skyscrapers. Houston has some of the tallest buildings in the southern US and the tallest buildings in Texas. This city has a lot to offer from it culture events, parks, to it business friendly enviorment you can find it all here. The best way to see the city is from above with an aerial of the Houston skyline where you can see a different view than from the ground. Posted in Photo of the Day and tagged aerial, Aquarium, business, city, city hall, colorful, colors, culture, downtown, ferris wheel, high rise, houston skyline, IH45, modern, night, pano, panorama, parks, rainbow, southern US, texas on December 4, 2017 September 25, 2018 by Bee Creek Photo. Another fall aerial view of Austin skyline from high up that captures the downtown and all the high rise buildings hugging the shoreline of Lady Bird Lake with the city in view. The water had this nice reflection of the clouds and high rise buildings reflected in the water along with the wonderful fall colors in the trees along the banks. This image capture this urban landscape of the Austin Skyline from the east side and shows some of the city’s tallest buildings like the Austonian, with the top of the Frost just barely peeking above the crowd along the shoreline. Until they finish the Independent the Austonian will remain the tallest in town at least for another year or more. Austin is the fastest growing city in the US and the 11th most populous city and is the seat of the Texas State Capitol. At the last census this urban city had a population of just over 947,000 and growing. 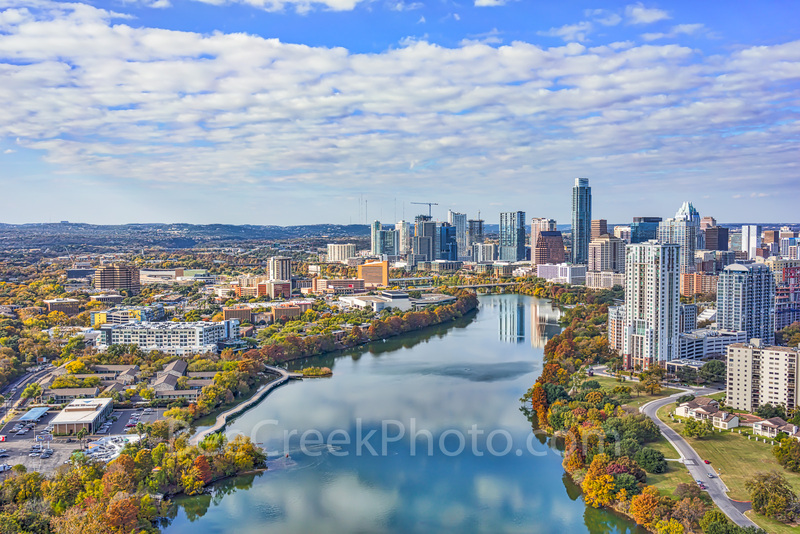 Austin Skyline Fall View – Another aerial view of Austin skyline fall from higher that captures the downtown and all the high rise buildings hugging the shoreline of Lady Bird Lake with the city in view. Again the water had this nice reflection of the clouds and high rise buildings reflected in the water along with the wonderful fall colors in the trees along the banks. This image capture this urban landscape of the Austin Skyline in fall from the east side and shows some of the citys tallest buildings like the Austonian, with the top of the Frost just barely peeking above the crowd along the shoreline. Until they finish the Independent the Austonian will remain the tallest in town at least for another year or more. Austin is the fastest growing city in the US and the 11th most populous city and is the seat of the Texas State Capitol. At the last census this urban city had a population of just over 947,000 and growing. Austin skyline is my favorite city to photograph if only it would stop growing so fast, we have constant cranes in our skyline. Austin skyline stock. 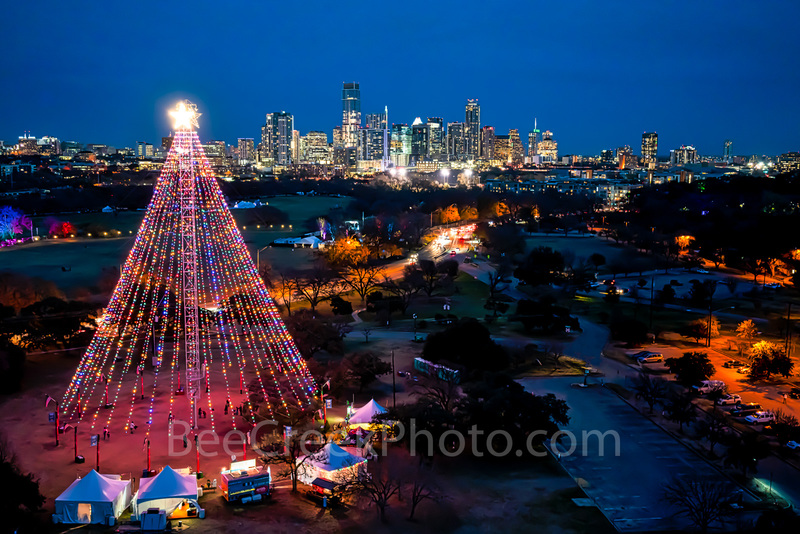 Posted in Photo of the Day and tagged aerial, Austin skyline, Austonian, banks, buildings, city, clouds, colorful fall trees, downtown, fall, fall colors, high rise, IH35, Lady Bird Lake, landscape, panorama, population, Reflection, shoreline, State Capital, state capitol, town lake, urban, urban landscape, water on December 2, 2017 September 25, 2018 by Bee Creek Photo.